Obstetric violence is a real thing. It's a form of physical and sexual assault. 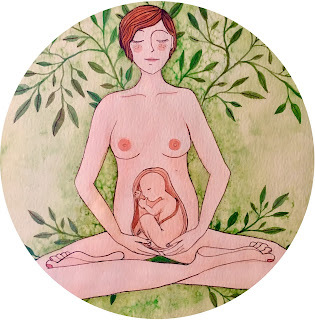 It comes in many forms--from little things like clamping the cord when the mother has specifically said "no," to big things like non-consensual episiotomies or cesareans. I've seen it happen as a doula, and I've written about it in my PhD dissertation. This recent article by Sarah Yahr Tucker knocks it out of the park: Doctors Frequently Abuse, Coerce, and Bully Women in Labor, Doulas Say. If you want to make a difference, please donate to the "Mother May I?" documentary. If you donate today or tomorrow, a generous donor has offered a $5000 matching grant. Only 6 days left to fund the documentary! I'm excited to announce a new nonprofit initiative called Breech Without Borders (www.breechwithoutborders.org). Our website is a placeholder site until we can get a professionally designed site created. We already have a few translations done in French, German, and Dutch. If you have a skill that you would like to contribute to Breech Without Borders--illustration, graphic design, translation, accounting, grant writing, etc--please get in touch with me. 1. Someone to serve as Treasurer on the Board of Directors--preferably with accounting experience and/or familiarity with the financial requirements of US nonprofits. If you can help in this capacity but don't want to be on the Board, I'd love you bring you on as an adviser to the Treasurer. (We have one volunteer already for the position, but she isn't familiar with US nonprofits, so I'm still open to finding a person with the right background). 2. Someone with medical illustration skills. I have several projects that need a series of illustrations. 3. Translations! We can always use more volunteer translators. I'm in the process of writing the articles of incorporation and registering the nonprofit with state & federal governments. I'm really excited to get this project started!